Take Lunch Time Walks - I definitely need to continue this one. Sew Living Room Curtains - These are my second set of curtains and I think I'm really getting the hang of making them. I know this isn't a "craft blog" but maybe I will put together a little tutorial post on making simple cotton curtains when I start on our next set. Create My New Blog Banner - We're photographing it today and I will be working on my new site next weekend! Can't wait. I've even been thinking of throwing a little party or something for the relaunch - perhaps a Travel Guide & Cook Book Party? 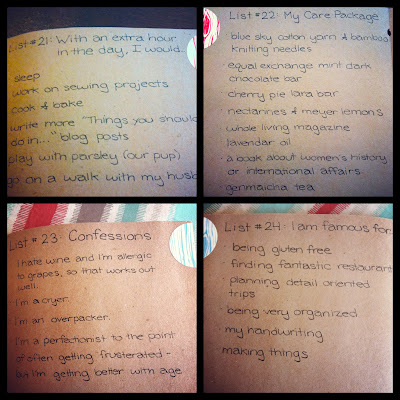 Find out more about 30 Days of Lists. 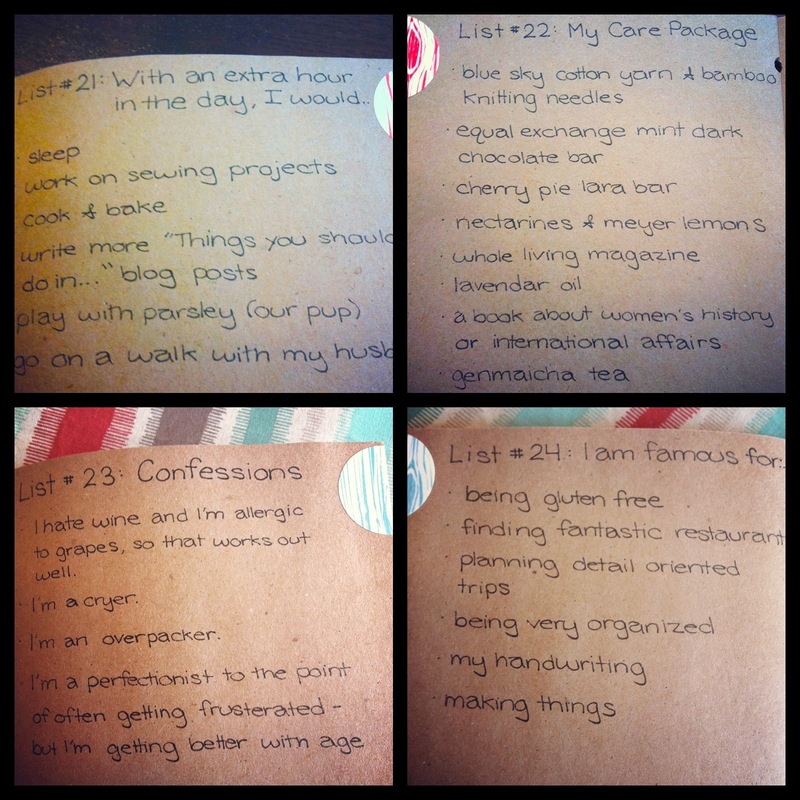 Or check out #30Lists on Twitter for more photos of other participants lists!